When a tooth becomes severely infected, a dental procedure called “root canal” may be the best option for dental treatment. Root canal is a dental procedure in which Dr. Yelena Simkha removes the nerve and pulp from the inside of the infected tooth. Midtown Manhattan dentist Dr. Yelena Simkha then cleans and seals the tooth. Without root canal, the gum area surrounding the infected tooth can become infected. While not all cases demanding root canal have symptoms, some typical signs that you may need root canal include severe toothache, tooth discoloration, swelling of gum, and gum pain. If you have any of these symptom, you should visit Midtown Manhattan Dentist Dr. Yelena Simkha. Root canal typically requires at least one visit to Midtown Manhattan dentist Dr. Yelena Simkha. Sometimes, more than one dentist visits will be necessary to complete a root canal. Midtown Manhattan Dentist Dr. Yelena Simkha performs root canals and specializes in the causes, diagnosis, prevention, and treatment of diseases and injuries of the human mouth. Dentures have been the industry standard to treat missing teeth for many years. Dentures are not always the best solution. Dental implants can be a better solution to treat missing teeth than dentures. If you don’t want to discover the reasons why dental implants are a better option than dentures – then stop reading now. Otherwise, read on and you will find out what makes dental implants the smarter choice for patients with missing teeth. First, dental patients should know that dental implants are different than dentures. Dentures are removable replacements for missing teeth. They are usually made from an acrylic resin along with porcelain or metal to add support. Complete dentures and partial Dentures can be used to help replace missing teeth. Dentures can be removed from the mouth as they are not permanently affixed. Dental implants have been around for approximately 20 years. Dental implants refer to an artificial tooth root that a dentist places into the patient’s jaw with the goal of being able to hold a replacement tooth or bridge. Dental implants are great choice for patients in good oral health who have lost teeth. 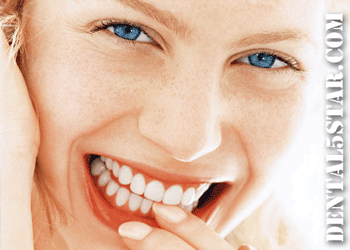 Dental implants look natural and feel natural. Dental implants make patients forget that they are there, while patients are always conscious of their dentures. While dentures don’t always feel secure and they can give problems when eating – dental implants allow patients to replace missing teeth in a way that feels and looks just like your own teeth. Dental implants, under proper conditions, can last a lifetime. At our Midtown Manhattan Dental Office, Dr. Yelena Simkha specializes in the latest dental procedures including dental implants. 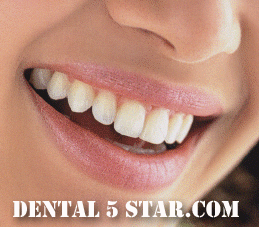 For more information about dental implants or other dental procedures, visit Dental5Star.com. How Dentist Visits Can Save Your Life! Good oral hygiene can help you stay healthy and live longer. Brushing your teeth twice each day can prevent gum disease. Research shows that gum disease may be linked to heart disease, strokes, respiratory problems, diabetes and pregnancy issues. Some say the eyes are the mirror of the soul – well the mouth is considered the mirror of the body. 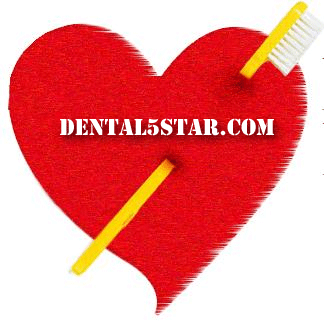 People with gum disease are much more likely to experience heart problems. Mouth cancer is more likely to affect those with gum disease as well. However, early detection by a dental professional can keep you healthy. It is important to schedule regular dental appointments. Do you have sore gums or do your teeth bleed during tooth brushing? This is generally the first sign of what dentists call gingivitis. Left untreated, this condition can develop into periodontitis – inflammation of the gums. Gum disease, not tooth decay, is the leading cause of a person’s teeth falling out. To reiterate, it is crucial to your health to schedule regular dentist visits. It is also important for you to brush your teeth twice each day for two minutes with a good fluoride toothpaste. Flossing is also important as it helps to remove plaque from between the teeth which helps to keep teeth and gums healthy. Even if you are not experiencing pain or bleeding during brushing, you still need to get regular dental check-ups. Feel free to call our dental office today and let Dr. Yelena Simkha and our dental professionals take good care of you and help you take good care of your own teeth as well. Posted in Dental Tips, Good Oral Hygiene | Comments Off on How Dentist Visits Can Save Your Life! Pediatric Dentistry: When Should a Child First Visit the Dentist? Do you know when children’s teeth begin to form? Would you believe that children’s teeth actually start forming before birth? 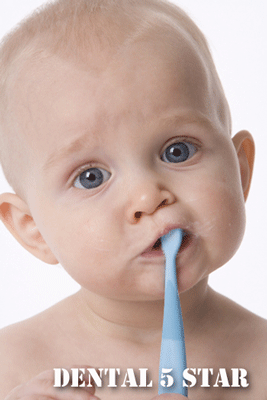 The first primary teeth, also known as baby teeth start to show themselves at 4 months of age. Keeping that in mind, when is the best time to take your child for the first visit to the dentist? The best time to make you child’s first dental appointment is as soon as the first tooth appears. It is also a good idea to begin brushing your child’s teeth daily in order to establish a routine of good oral hygiene. At the latest, children should visit the dentist by the time that they reach their first birthday. It is important that your child has a good experience at the dentist office. The first relationship that your child has with a dentist and the whole dental process is sure to leave a lasting impression. To prepare for your child’s first dental visit, it is a good idea to explain what the dentist will do. It is also a good idea to read your child a book about a trip to the dentist. It may be a good idea for you to role play about what the visit to the dentist will be like. It may also be a good idea for the parent to sit in the dental chair and have the child sit on the parent’s lap for the duration of the dental visit. It is also a good idea to take younger children along for an older sibling’s dental visits. This will help to get them more familiar with and better prepare them for visits to the dentist office. At a child’s first dental visit, our dental professionals will examine your child’s mouth for early signs of tooth decay and other potential dental problems. Dr. Simkha will give you advice on helping your child grow up cavity-free. After the first dental visit, it is important that your child sees the dentist regularly. Posted in Dental Tips, Good Oral Hygiene, Pediatric Dentistry | Comments Off on Pediatric Dentistry: When Should a Child First Visit the Dentist? Regular visits to dentist can pay off for women in several ways. In addition to having beautiful looking teeth and a great smile, women who visit the dentist regularly also may have less heart problems. A new dental study by UC Berkeley’s School of Public Health claims that women who make regular visits to a dentist and practice good oral hygiene reduce the risk of heart attacks and other cardiovascular problems by 33%. The dental study examined men and women who visited a dentist during the previous two years compared with men and women who had not visited the dentist. Researchers found a correlation between women who visited the dentist and women who did not have a visit to the dentist. There was no such benefit found for men who visited the dentist and those who did not visit the dentist. The dental study suggested that estrogen in women helped to prevent heart disease. There have been several studies linking dental care and cardiovascular disease, but this study boasts that it is the first study to show that general dental care can lead to a reduction in heart attacks, strokes, and other cardiovascular problems. This dental longitudinal study followed the same people over time. Subjects were studied over time and were categorized based on whether they had visited the dentist and whether or not they experienced heart problems. Men and women who would like to make a dental appointment with Dr. Simkha can do so by calling Prestige Dental today at (212) 683-4330. To get more dental tips and to find out how to keep your teeth looking great, be sure to check the Dental 5 Star blog regularly. If you would like to have that great smile that you’ve always dreamed of, call Dr. Simkha at Prestige Dental or visit us online at http://dental5star.com to find out more information about Invisalign, dental veneers and many other dental procedures that can help give you that winning smile! October is National Dental Hygiene Month! Dental 5 Star, conveniently located in Midtown Manhattan offers several dental hygiene tips to help promote good oral hygiene habits. • It is important to brush your teeth a minimum of twice each day for 2-3 minutes. It is especially effective to be sure to brush the outer and inner surfaces and the chewing surfaces of each tooth. 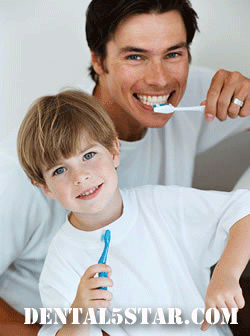 •Children should be encouraged to brush their teeth regularly by making brushing your teeth a family activity. •Adults and children should floss their teeth each day to remove plaque from between teeth. •It is essential to practice healthy eating habits and to eat a healthy diet, rich in fruits and vegetables. Foods with high sugar content should be avoided. Apples and carrots are among the foods that help to prevent tooth decay. •Be sure to visit the dentist regularly. Children should make their first dental appointment within 6 months of getting their first tooth. •Be sure to check with the dentist as to what toothpaste family members should use. Adult toothpaste are not appropriate for children. There are different kinds toothpastes that appropriate for children of all ages. 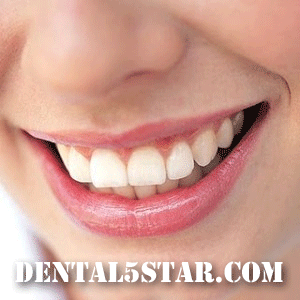 The importance of regular dental visits cannot be emphasized enough. It is very important for adults and children to see a dentist regularly. Dentists not only take care of your teeth, but more importantly they are also trained to notice signs of other medical problems. There are several studies that link oral health with serious medical conditions such as heart disease, stroke and diabetes. By educating parents and children about good oral hygiene, dentists can help to prevent serious health issues. To get more dental tips and to find out how to keep your teeth looking great, be sure to check the Dental 5 Star blog regularly. If you would like to have that great smile that you’ve always dreamed of, call Dr. Simkha at Prestige Dental today (212) 683-4330 or visit us online at http://dental5star.com to find out more information about Invisalign, dental veneers and many other dental procedures that can help give you that winning smile! When you are trying to maintain a beautiful, healthy smile, you have to keep in mind more than just brushing and flossing. There are daily habits that some of us have that can have a negative impact on our teeth, gums and jaws. Not only will this bad habit help to add unwanted pounds to our figures, but nighttime snacking will also cause problems to our teeth. You may not know it, but saliva is essential for clearing food remnants away from the teeth. With this in mind, our mouths produce less saliva at night than during the day. As a result, people who snack at night are at risk to have more dental problems than those who do not. 2. A Bottle of Red, A Bottle of White… It all depends upon your appetite. Which color wine do you think is worse for teeth? If you answered red wine, you are incorrect. Believe it or not – white wine is more damaging to teeth. Most people would shy away from red wine because it stains the teeth almost immediately. However, what most people don’t know is that white wine can actually cause more permanent problems due to the higher levels of acid that eat away at the teeth’s enamel. No, exercise is not bad for your teeth – unless you breathe through your mouth! When you breathe through your mouth, your mouth loses the saliva that is necessary to prevent tooth decay. So, continue the exercise, but be sure to breathe through your nose to keep your teeth healthy. Instead of drinking bottled water, choose tap water. Bottled water is not fluoridated, while tap water is. Remember that fluoride helps teeth remineralize. Whether its sugarless of not, excessive gum chewing may irritate the temporomandibular joint, which can cause TMJ. This can lead to headaches, earaches, and neck and facial pain. Chewing gum occasionally won’t present problems and gums containing xylitol may actually help fight cavities, but chewing all the time can cause more damage than good. Nail biting is not only bad for your nails, but it is also harmful to teeth. 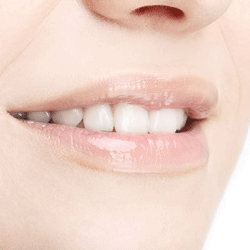 Nail biting reshapes the bottom of your upper teeth and can leave them with rigid edges. Nail biters are also at a higher risk of suffering from bruxism (unintentional teeth grinding). Instead of drinking from glasses, bottles or cans, choose drinking straws. Drinking straws do not put drinks in direct contact with your teeth. Over time, this can cause tooth decay. By drinking through a straw, you can minimize the contact between liquids and teeth because the straws are positioned towards the back of the mouth. Excessive teeth brushing and especially horizontal brushing has been known to wear away the teeth’s enamel. Instead, opt to brush with gentle circular strokes. This should help keep your teeth healthy longer.